How to setup SoftEther VPN connection on Linux Mint? 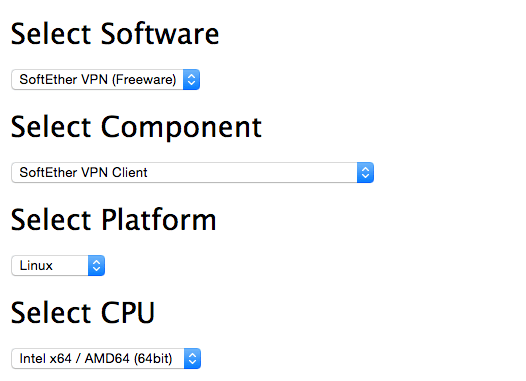 1SoftEther VPN Client installation process on Mint require advanced linux skills. * current selection is for linux 64bit OS. You must change VPN SERVER-IP with your assigned server IP and YOUR VPN USER-NAME with your assigned username. If nothing is input and Enter is pressed, connection will be made to localhost (this computer). Here just hit enter key and automatically localhost will be set. Connected to VPN Client "localhost". The VPN Connection Setting "myvpnfile" was imported. hanging the user name, you must use the AccountPasswordSet command to reset the password. Please enter the password. To cancel press the Ctrl+D key.